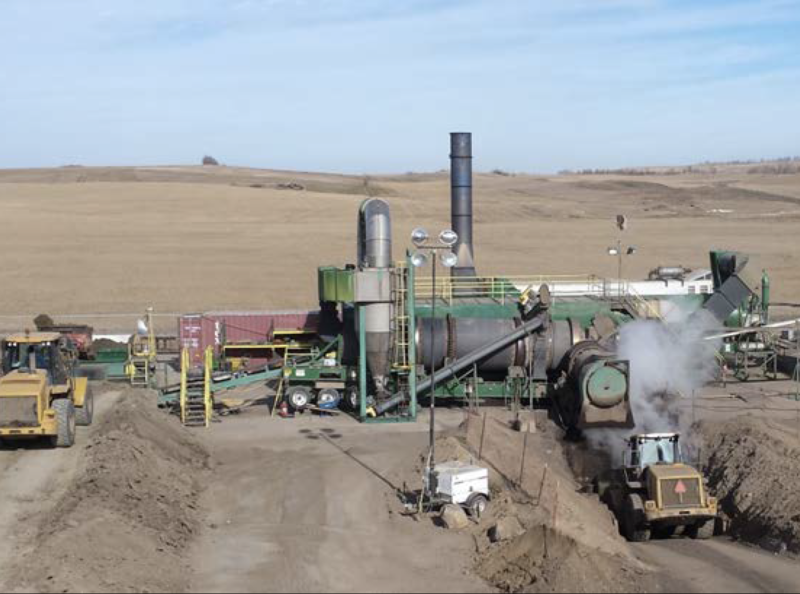 NELSON’S Indirect Thermal Desorption (ITD) uses an inclined rotating metallic cylinder to heat the feed material. The heat transfer mechanism is conduction through the cylinder wall. In this type of system neither the flame nor the products of combustion can contact the feed solids or the off gas. Indirect Fired Thermal Desorption (ITD) uses competitive, cost-efficient, and reliable remediation methods with our highly trained personnel and large fleet of equipments. NELSON uses a compact timeframe to ensure that our process is timely and predictable. Our skill and knowledge in soil remediation allows us to eliminate liability issues attached to the project site. NELSON guarantees clean air, ensuring toxic compounds are not released into the atmosphere. Our process guarantees quality soil as a result of the ITD process, with minimal changes on soil characteristics. We value our clients trust and take responsibility for our work, therefore we will only invoice after the processed soiled is deemed clean by laboratory results.